$4 copays. $20 copays. 10% coinsurance. If you are on many medications, the costs of those prescriptions--even if each one doesn't cost a lot--can really add up! Whether you have employer insurance, a Marketplace plan, Medicare or Medicaid, you might be interested in some of these ideas. 1. Understand how your insurance works and what the costs are for medications. There are a few ways to do this, but a good place to start is by calling customer service for your insurance. Generally, the customer service number can be found on your insurance card. The customer service staff should be able to explain to you how your insurance works, and what the costs will be for different medications, based on the insurance company's formulary. 2. A formulary is, at its essence, a list of medications that are covered by an insurance company, categorized by level or tier. Here's an example. 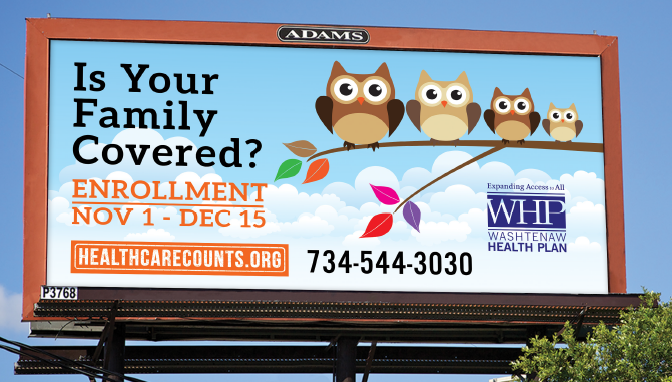 The three lowest-cost Marketplace plans in Washtenaw County all use the Blue Care Network formulary. To find the formulary, I typed into Google, "Blue Care Network Select Silver formulary." I found their Custom Drug List. Now let's say that I take a couple of asthma/allergy drugs, and I want to know what their "Tier" is, because that will tell me the copay amounts. I use "control F" and type into the search box the name of the medications I am looking for. Let's say I take Singulair and Xopenex HFA. I type those names into the search box. 4. In some cases, you may want to search through goodrx.com to compare medication costs. Note that, next to Kroger, it suggests that the estimated cash price would be $80, but the price is discounted with a free coupon. 5. In some cases, filling a 90-day supply of a medication you use regularly may save money. 6. Last, but not least, in some cases there are Prescription Assistance Programs, or PAPs, available to you. You can find a good list at needymeds.org. Criteria to qualify for a PAP vary widely. In the case of the Xopenex HFA, there is a PAP, but you would need to a) have insurance and b) be under 500% of the poverty level ($58,850 for a single person) in order to qualify. If you qualify, the PAP could save you hundreds of dollars. So this may be a good route to go if you have a high-deductible insurance plan. If you think a PAP is necessary for you, generally the doctor's office will have to fill out part of the form. They are used to doing those, so don't be afraid to ask!